A quiz about the early years of cinema. What were the christian names of the Lumiere brothers ? Who directed The Great Train Robbery (1903) ? Who played film pioneer William Friese Greene in the 1951 movie The Magic Box ? 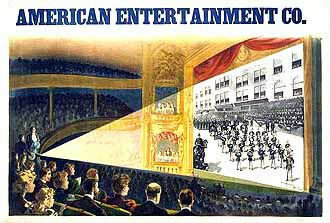 Which country produced the first feature film in 1906 ? What was D.W. Griffith's first film as a director ? Who was known as the Biograph Girl ? Who founded Universal in 1912 ? Who directed the early Italian epic Cabiria (1914) ? Do You Know Noir Well?